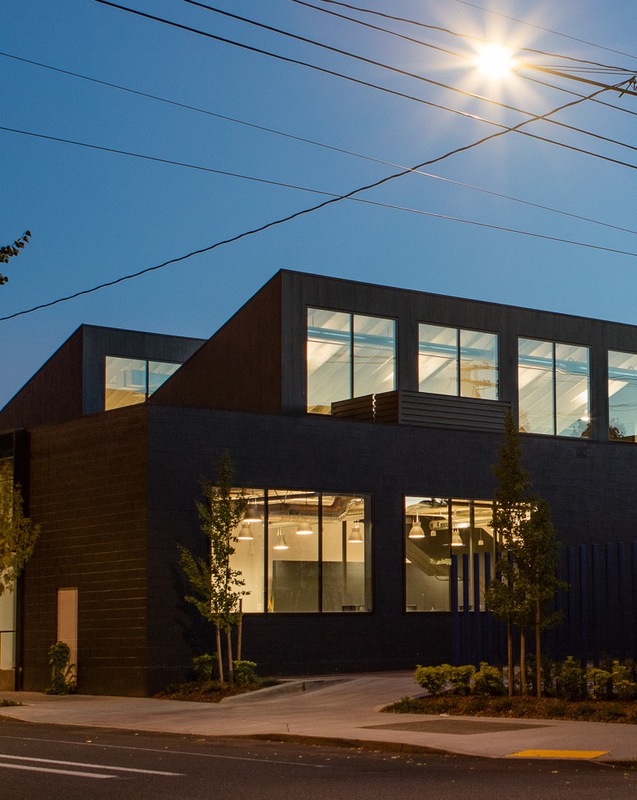 Canopy is an adaptively reused series of five interconnected warehouses in the Slabtown District in Portland. During its use as industrial warehouse prior to redevelopment, it was known as the Rose City Awning building. The series of warehouses have been thoughtfully redesigned as creative office space. Added skylights bring light into the common area walkways that feature indoor landscape, blurring the lines between inside and outside. Areas of the roof in each warehouse were raised and converted into oversized sawtooth light monitors to accommodate new mezzanines. These oversized light monitors allow light to flood the workspaces below and provide a platform for a 120kw solar array on the rooftop. The result is a transformative work environment that blends the natural elements of light and landscape with thoughtful architecture.